When you look at the companies pioneering advocate marketing and other social media strategies, you’ll notice a common theme: women are leading the charge. Although women are underrepresented in C-level and VP-level roles, they are disproportionately creating entire marketing, sales, human resources and customer service strategies grounded in social connectivity. As powerful women translate company values, goals and brand identity into actions, social media has become their medium of choice. By championing advocacy within their organizations—by making their customers and employees the motors of company participation, inspiration and appreciation—I believe women are transforming corporate culture on an unprecedented scale. The results will redefine our notions of leadership for years to come and recreate brands as a source of community and inspiration, not just profit, products and employment. Women, I would argue, are strongly attracted to businesses that foster a sense of community through open sharing and transparent leadership. The rise of advocacy is in large part a rejection of corporate cultures that elevated achievement and competition above these values. This is what I discovered in my own journey to advocate marketing, and I believe many women have shared in this experience. Fresh out of Vanderbilt University in 1998, I began my career in structured finance at Enron. I was inspired to achieve “endless possibilities” at the company that held Respect, Integrity, Communication and Excellence above all other values. And then, on day one, a company executive welcomed me into the coveted “finance special projects” group. He said: “The only thing you need to know in this group is that bankers are stupid—we’re smarter than them and we need to tell them what to do.” In hindsight, this should have been a red flag. However, most of Enron hadn’t adopted this mentality. When I started, people we’re still focused on delighting customers and respecting partners. Enron had a culture of people who wanted to change the world responsibly. But success became a cloud of hubris. We thought highly of ourselves, and we began to lose sight of our customer. 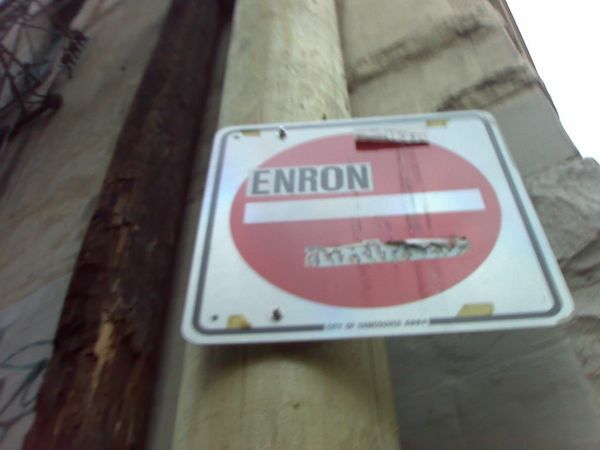 Instead of delighting customers, Enron began to take advantage of them. Torn between vision and vanity, Enron corporate culture became a moral time bomb. The thought process became: “We’re changing the world. And, we’re the smartest people in the room. Therefore, we can do what others don’t.” The extent of the company’s ethical decay was hidden behind a thick wall of secrecy. Kenneth Lay told us how strong Enron’s future looked while he was in the process of unloading shares. It was jarring to say the least when Enron went bankrupt and my bosses went to jail just a few years later. To cope, I grabbed a backpack and spent several months in the South Pacific. After my Enron experience, I vowed to only get involved with companies where I could guide company values and culture, lead by example and inspire others. After two years at Stanford Business School, I launched Dermalounge, a line of skin health centers that offered high quality treatment with the luxury of an upscale, urban spa. Dermlounge (now closed) was an experiment in replacing Enron “whatever it takes” values with a culture of advocacy and community. At Dermalounge, we went beyond providing services and selling skin products—we provided inspiration and appreciation. Dermalounge’s two locations became home to Mother’s Club meetings, book clubs and other community events. Essentially, we created a space that empowered our customers to look and feel great, and we inspired them to help others do the same. On a small scale, Dermalounge had replaced the business culture of ambition with one that touched the spirit of our overwhelmingly female clientele. Our goal at Dermalounge was to make customers into advocates. We needed to deliver amazing service and results, and our employees had to be the face of our values and culture. They gave our skin health centers the intimacy of mom’s night out. Employees knew clients’ children by name, remembered anniversaries, talked with them about their lives and made each visit feel personal because they loved their work and believed in what Dermalounge stood for. We needed customer and employee advocates to grow our business. Word-of-mouth was by far our most effective form of advertising, and we were early adopters of local social strategies and technologies. In 2008, I hired someone to run Dermalounge, and I went off to co-found SocialChorus. My experience with Dermalounge had led me to believe that blending advocacy with social media could create a whole new category in marketing. Sadly, Dermalounge closed in the fall of 2013. Over time, the company departed from the principles of advocacy on which it became a success. At first, it was a huge personal disappointment. But, the fall of Dermalounge underscored the importance of always making sure that customers are the company’s best advocates. There are now numerous examples of women pioneering advocacy strategies. The common thread is that they make advocacy much bigger than just posting and tweeting. Three years ago, Liz Bullock built Dell’s employee advocacy program so employees could use social media to be a better business and get closer to their customers. Today, Dell has certified 10,000 employees listening, authoring blog posts, responding to customers online and offline, thanking customers, connecting with potential hires and much more. Now, Liz is CEO of SASI, Social Arts and Science Institute, where she consults with clients on building their own social employee advocacy programs. A friend and inspiration, Porter Gale, former CMO of Virgin America and author of “Your Network is your Net Worth,” showed how an airline with limited marketing dollars could stand out in a recession by providing an amazing experience and then letting consumers and brand partners sell the story via word-of-mouth. Porter recognized that social media was an authentic medium to showcase what Richard Branson considers Virgin’s core values: “openness and providing excellent customer service.” In 2008, Susan Emerick, Manager of Enterprise Social Strategy and Programs at IBM, used social “listening” intelligence to develop the company’s award-winning social marketing practice. Susan’s employee advocacy program now trains thousands of IBM subject matter experts and thought leaders to represent the brand over the social web. And her book, The Most Powerful Brand on Earth, teaches organizations how to transform employees, partners and customers into a social marketing force. Jill Rowley, Oracle’s head of Social Selling & Social Business Evangelism & Enablement, is turning 23,000 sales professionalsinto a powerful social selling force and building a companywide employee advocacy initiative. Meanwhile, Stella & Dot, led by CEO Jessica Herrin, is empowering thousands of women to be direct sales entrepreneurs who host jewelry trunk shows, sell on their own e-commerce page and build a word-of-mouth network through Facebook, Twitter, Pinterest and other social media sites. This is not to say that men aren’t pioneers in social channels—Gary Vaynerchuk of VaynerMedia and Christopher Boudreaux, Accenture’s Social Media Architect, and many others are leading the rise of advocacy strategies too. However, women stand out because they are so underrepresented in corporate leadership. In the Fortune 500, for instance, only 4.2% of CEOs, 14.6% of executives and 16.9% of board members are women according to the nonprofit Catalyst. The percentage of female executives has actually remained steady for 4 consecutive years. In each case where women pioneer new social strategies, they use the principles of advocacy and the reach of social technology to change the day-to-day work of thousands of employees. Advocacy—both customer and employee forms— seeks to scale the personal feel of a local Dermalounge to the Fortune 500 level. It works when customers and employees love a brand and are encouraged and empowered to advocate to their network of friends, family and social media followers. The women pioneering advocacy at Dell, Virgin America, IBM, Oracle and Stella &Dot strive to make their customers, employees and partners into thought leaders, networkers, connectors and relationship builders—the type of people who can build community, inspire their network and win appreciation from anyone who interacts with the brand. These women are helping the business world transcend the Enron culture that ultimately led to criminal behavior and bankruptcy. While we once thought of leadership as an accomplishment within a business or team, the women driving advocacy are putting their customers, employees, bloggers, new social media influencers and even partners into a bigger game. By turning the natural ethic of social sharing into business strategies, women are asking their colleagues to become leaders in their industries and networks. As women turn entire organizations into groups of leaders through advocacy, they certainly will transform our expectations of corporate culture and forever change how brands build respect, loyalty and community among people. Nicole Alvino is Head of Strategy and Co-Founder at SocialChorus and is responsible for designing solutions to meet our customers’ specific marketing and business objectives. Formally, she was CEO and Founder of Dermalounge, a consumer skin health brand and early adopter of advocate marketing. She has an MBA from Stanford Graduate School of Business, has traveled to over 60 countries and spends her free time chasing her two young sons.